Israel Resilience party Chairman to speak at campaign opening tomorrow, will devote part of speech to right-wing government. Israel Resilience party Chairman Lt. Gen. (res.) 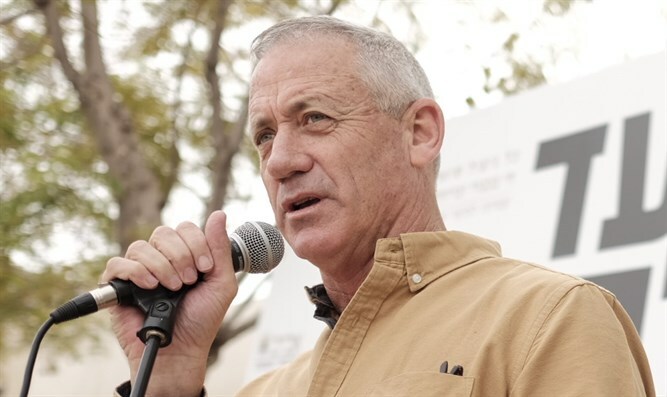 Benny Gantz will speak tomorrow at the opening of the campaign and will use his speech to lash out at the right-wing government. "I shall not sit in a government against whose head an indictment has been filed. I will not sit with a prime minister after a hearing, I don't rule out a meeting before one," Ganz will say at the event. "Israel isn't a monarchy and there's no king or queen. The Netanyahu family isn't a royal family, and Netanyahu is not king," the former chief of staff will say. He will also say "this is a bad and corrupt government that will divide the people" and promise "we will limit the prime minister's term in office."